I'm typically not one to make New Years resolutions, but this year I have a couple, and it's all in the name of gettin' 'er done! My priority this year, or at least for the first half of the year, is going to be all about finishing those nagging WiPs (we all have them am I right?). I'm talking about those projects that we fell hard for in the beginning, but later set aside for bluer horizons (aka: the inevitable next WiP). And second to that thought, is that I want to start using the stash that I already have, and that I so lovingly built. Well with that being said, I thought today I'd show you my hopefully final stash stock up for the next little while - a stack of quilty readings, and a post Christmas splurge from Pink Chalk Fabrics. It seems like 2012 was the year to publish for many great quilt bloggers, and I added a small stack of titles onto my holiday wish list. 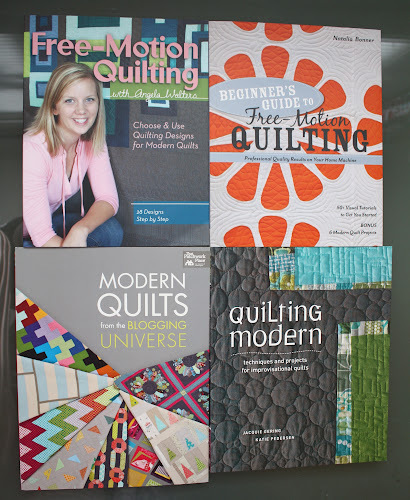 Four reads I can't seem to put down these days are: Free-Motion Quilting with Angela Walters, Beginner's Guide to Free-Motion Quilting by Natalia Bonner, Modern Quilts from the Blogging Universe, and Quilting Modern by Jacquie Gering and Katie Pedersen. 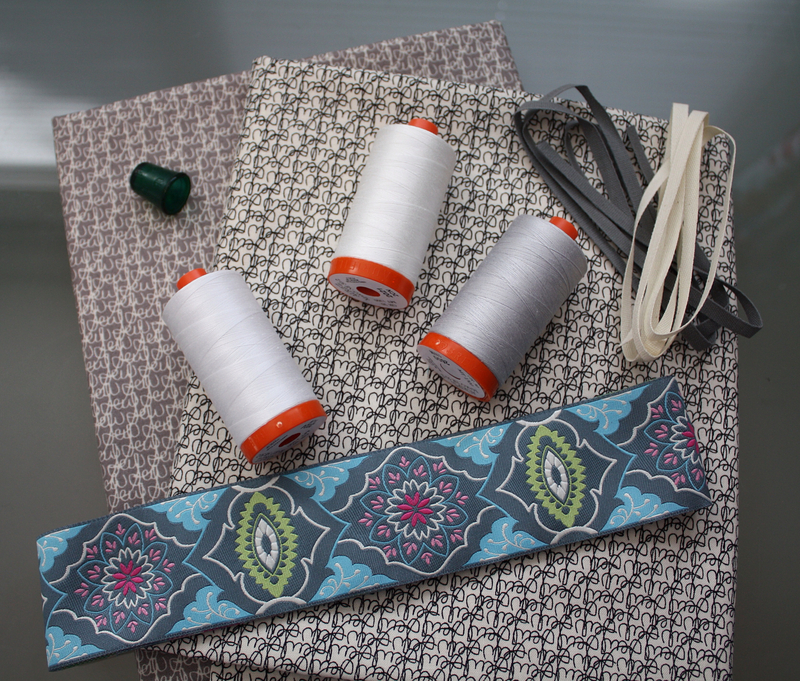 Shortly after Christmas, in a moment of weakness, and during a spectacular sale, I fell head over heals for this Amy Butler 2" ribbon from her new Alchemy line. What will I do with it? That I don't know, but it's absolutely lovely (are you starting to see why I need a break?!). Ikat Diamonds in Aquatic Blue from V and Co's Simply Color. 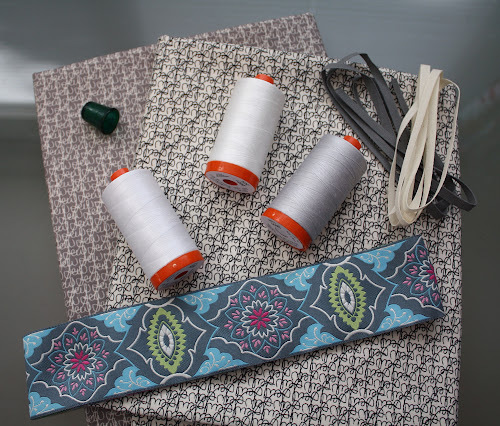 As I'm making pretty good progress on my WiPs, I might be able to splurge on a few New fabric lines sooner than I imagine, but right now I'm trying to keep my ground. The one thing that is keeping me sane in this endeavor though, is that I know that I can't possibly be the only one out there with a stash bigger than my projects list. 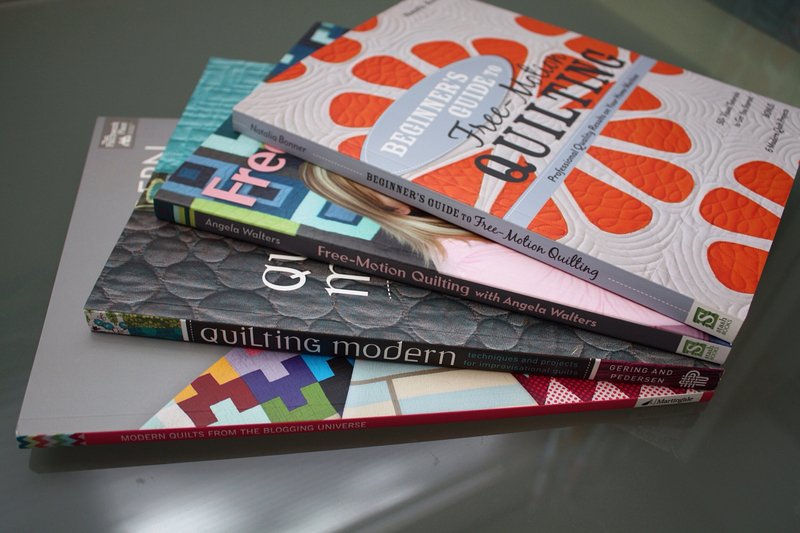 nice books, I have a lot of magazins but I'm glad for the downloads I can find. greetings. 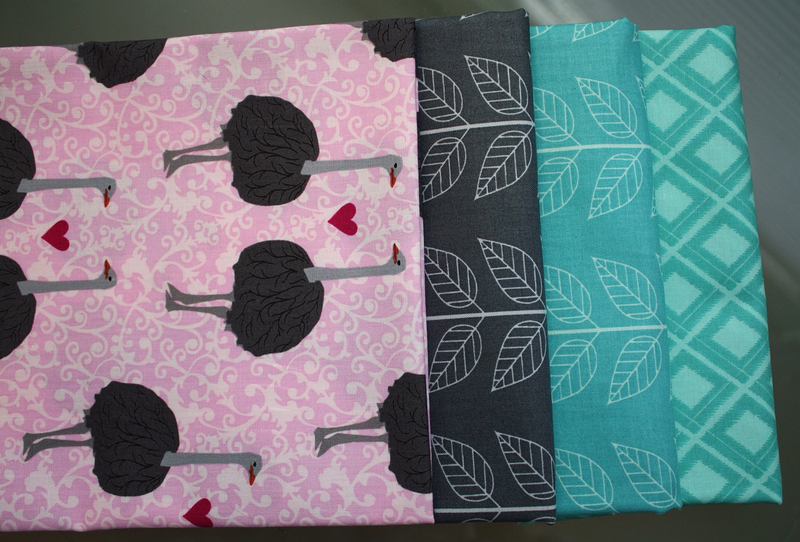 Those ostriches are awesome! I can't wait to see what you do with them!